All points to an Ireland win…doesn’t it? Grand slams are hard to win, Ireland only have two, in 1948 and 2009. England have 13. Analysis of last weekend’s performances by both sides is over. Now it’s a shoot-out at Twickenham. Selection a major issue for England. 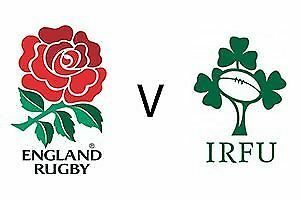 Ireland are a team in motion, playing with intensity, and strong in the areas where England are weak and ineffective, namely the back row, tackle contest and 12 channels. A top coach working in Ireland recently told me, there is an unbelievable pathway of talent coming through. This puts pressure on those ahead. A realisation that you must play well to keep your place in the team. When injury created a problem at 12 Schmidt was quick to act….globally. The problems inherent in England performances when Jones took over, are still there, at 7 and 12. Inside support lines are poor, ball into contact and re-cycle poor, and despite possession England fail to attack the inside shoulder. In those areas Ireland are good, and as will happen on Saturday when the breakdown/tackle contest turns into a s… fight, as it always does when Gardner referees, Ireland are better equipped to deal with it. Ireland improve the longer the game and build pressure. They are composed close to the line and score tries as a result. See Stockdale’s second try. However Grand Slams are hard to win and English pride is on the line, and maybe Eddies job, and certainly Hartley’s captaincy. England will need field position in attack and team mobility in defence. I would play Farrell at 10, Teo at 12 and Daly at 13. England must run straight first! At one point in Dublin, Sexton stayed on the inside of the ball in phase play defence. Not one Scottish attacker held him, and the attack drifted sideways into touch. The attack was pretty to watch but….? To utilise England’s pace out wide, the mid-field must run straight. Brown comes back in at full back, for the high ball, Watson on the wing. Work will surely be done this week with the back 3 playing as a unit? Lawes is a big loss, not only at line-out, but his tackle work-rate is impressive. Launchbury must have 60 minutes at least. Itoje just stays in, but this is not a game for celebrities! The coal face will be tough going. Experience will help so I would stick with Dan, Jamie and Mako. In the back – row I would bring in Armand at 6, move Robshaw to 7 and play Simmons at 8. •	Improves as the game goes on. •	Gets to the breakdown in numbers. •	Has team units playing well. •	Has impressive team mobility and effective work rate. •	Is mentally tough, and the championship would count for nothing if beaten.